Cologne are considering drastic measures in order to turn around their stormy season. They are bottom of the table with 3 points to their name, they parted ways with long-time coach Peter Stöger and their injury list keeps growing and growing. Something must be done at Cologne ahead of their Matchday 16 fixture against leaders Bayern Munich if they are to stop the rot. The club board has decided that signing a club legend is precisely what the Billy Goats need to get their season back on track and took to Twitter to let their intentions known. Will we see Lukas Podolski return to his boyhood club? Is French goal machine Anthony Modeste on the brink of a Bundesliga comeback? 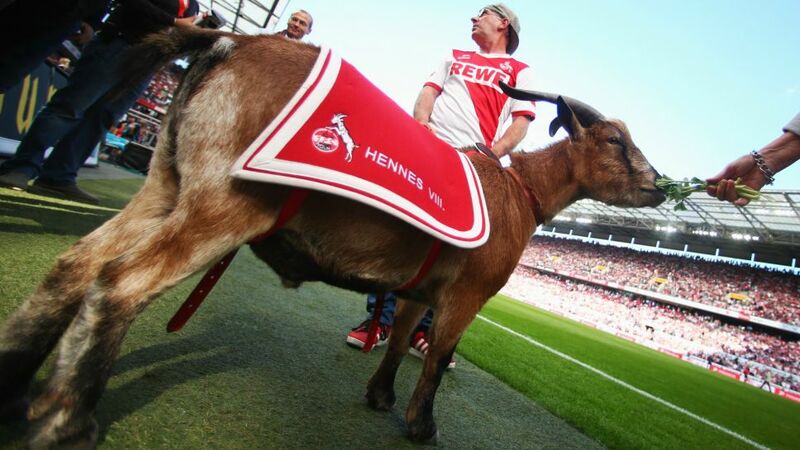 Although Cologne's mythic mascot Hennes VIII would bring a much-needed injection of club spirit to the squad, the move remains controversial among reports of backlash from groundskeepers across the Bundesliga. Cologne's board remain confident that should the league approve their efforts to become the first interspecies XI in history, this signing would be the greatest of all time. Reports suggest that Hennes is confident in his ability to turn the club's season around. When asked who the best player in the world is, he replied with a loud "MEEEEEEEEEH! ".